Last week we published five reasons to avoid the new HTC One (M8) smartphone, intended as forward-thinking criticisms to urge further refinement to an evolutionary product which built on the success of its predecessor, the One (M7). But for the few negatives, it has at least double the positives. In layman’s terms, it’s a great smartphone, and this will contribute further to HTC’s ability to win customers from its big-name rivals. Here are our top five reasons to buy the HTC One (M8). HTC’s ‘Motion Launch’ gestures make the One (M8) significantly more convenient to use. The capability provides quick access to a set of predetermined features straight from the lock screen while the display is turned off. As the prompt shows, swiping in a certain direction will launch a software feature. A double-tap with your finger turns on the screen (which is especially useful due to the tall form factor of the smartphone); swiping left launches the widget panel; swiping right launches BlinkFeed; swiping down triggers the ability to call via voice command (which also works with the Dot View case); swiping up unlocks the phone or brings up the key/pattern-pad for security. Additionally, tipping the device into landscape mode and pressing the volume up button will open the camera app. Note that if you use a security code (PIN, pattern, password, and so on), it must still be entered to access any of these. The exception is the camera, which can take photos while the One (M8) is locked, but photos cannot be viewed. There is also an option to bypass the lock feature when using the call command gesture, meaning you can simply swipe down, say “Call _____”, and the phone will dial for you without prompting you to unlock the unit. Unfortunately, HTC does not allow you to reprogram these gestures to launch apps of your choosing, but we hope to see the option included in a future update of the software. For example, it would be good to be able to replace the likes of BlinkFeed with perhaps email or messaging when swiping right. HTC has included a 2600 milliamp-hour (mAh) battery inside the One (M8). While the size itself isn’t anything special, its life definitely is. During our testing period, we easily managed to get through a full day of use with about 30 per cent remaining. This included a lot of social networking and messaging, some video streaming, local music playback, Internet browsing over 4G and Wi-Fi, some calling, and a bit of photography. When we activated the Power Saver mode, the phone lasted even longer. We also downloaded the Qualcomm Battery Guru app to help things along, which contributed to an even greater battery life. 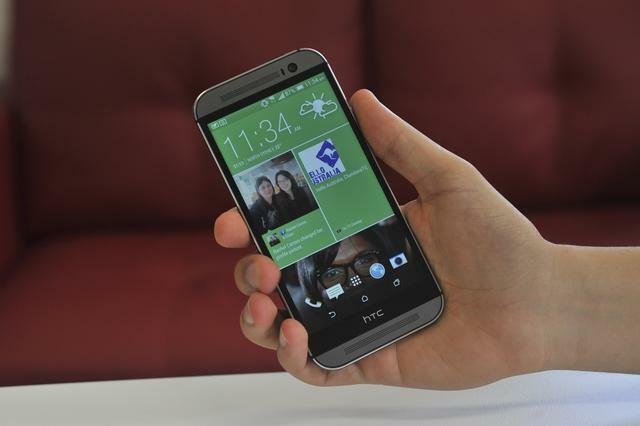 Read More: HTC One (M8) Review: Is this the year HTC topples the mighty Samsung? Unfortunately ‘Extreme Power Saving Mode’ is not yet available on Australian devices, but HTC has confirmed it will be launched in a software update in the near future. The vendor claims that when activated, Extreme Power Saving Mode can deliver up to 30 hours of standby time with just 10 per cent battery life remaining; this beats Samsung’s ‘Ultra Power Saving Mode’ which promises up to 24 hours of standby time (or 10 hours of talk time) from 10 per cent battery life remaining. That said, the One (M8) does employ an enclosed design, and therefore you can't hot-swap the battery. This won’t hinder all users, but those of you who spend a few days away between charges will have to invest in a portable battery unit. The One (M8) houses a quad-core Qualcomm Snapdragon 801 processor. It keeps all apps — including high-demand games such as Real Racing 3 — running smoothly with no speed bumps. Switching between apps is snappy, scrolling is flawless, and moving between home screens is fast. Whether this performance will change over a six-month period is yet to be seen, but over the past two weeks — in which we loaded the smartphone with apps and video files — its high-calibre performance has been evident. The One (M8) also managed to deliver top notch performance with both Power Saver mode and Battery Guru Low Power mode activated, the latter of which has had an otherwise noticeable impact on the speed of other Qualcomm-based smartphones and tablets we have tested. The One (M7) trumped its competitors with its front-firing, Beats-powered, BoomSound stereo speakers. The One (M8) takes HTC’s advantage a few steps further; no rival smartphone can compete with its volume or quality, and that’s despite the fact the vendor has stopped using Beats Audio. The bottom speaker on the HTC One (M8). There is also one at the top of the phone. According to an HTC spokesperson, the One (M8) contains redesigned speaker chambers, dedicated speaker amplifiers, and a tailored audio profile. This has made the phone 25 per cent louder than its predecessor. Sound is extremely clear and quite punchy across the spectrum. Highs and mids are its strength, but bass does its job despite not being extraordinary. We have found ourselves ditching headphones much more frequently when around the house, opting to use the stereo speakers for viewing videos and listening to music. Keep in mind that HTC is placing a lot of emphasis on sharing, so you can now view/listen to media with friends without having to negotiate a cupping manoeuvre to steer sound towards you. 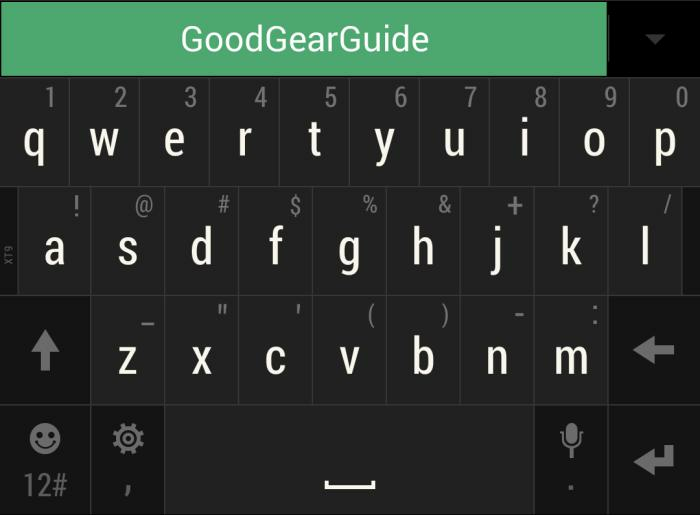 The HTC One (M8) has one of the best default keyboards on the market. It not only has a clean design, but is quite spacious despite being filled with easy access to numbers and characters. The device’s haptic feedback helps, too. As your primary means of input, this often-overlooked and assumed software can redefine the entire experience of using a smartphone. The keyboard (from below the text input field). We also credit HTC for how the One (M8)’s inbuilt dictionary works. It makes adding new words, acronyms, and slang very, very easy. Auto-correct is almost always spot on as well. 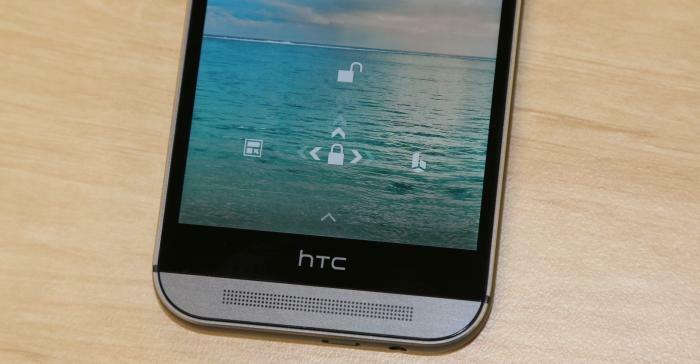 Have you purchased a HTC One (M8)? What are your favourite features? Tell us in the comments section below.